Kelsey Swiggett has partnered with CE Zoom for the distribution of CE Certificates. 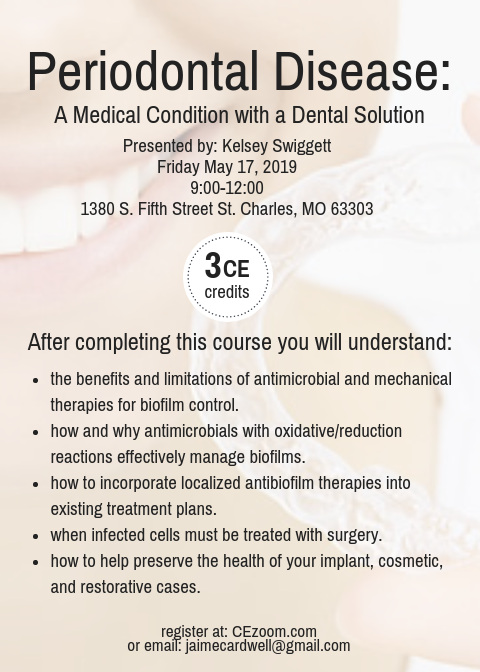 This activity has been planned and implemented in accordance with the standards of the Academy of General Dentistry Program Approval for Continuing Education (PACE) through the joint program provider approval of CE Zoom, LLC and Wizdom. CE Zoom, LLC is approved for awarding FAGD/MAGD credit.